This composite image originates from two images. 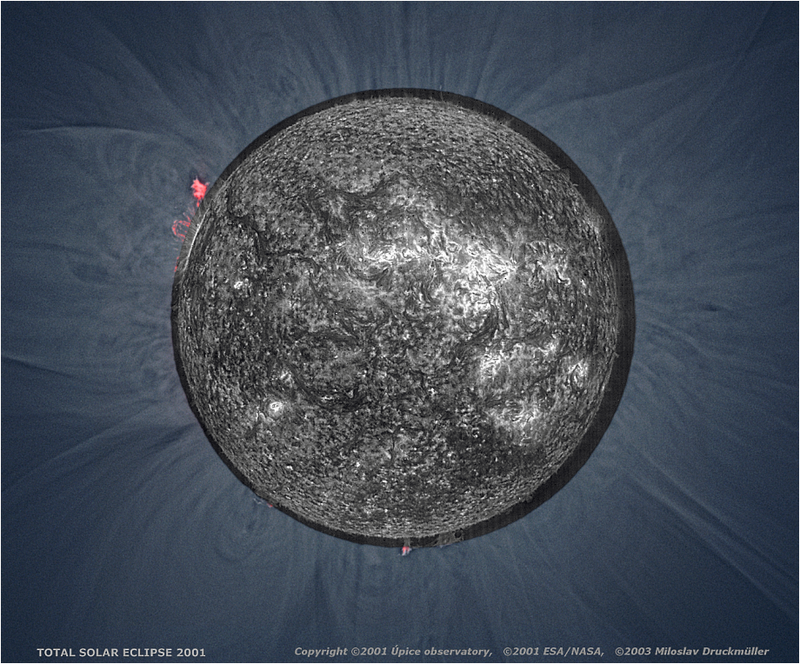 The first one is an enhanced version of inner corona image processed by means of Corona 2.0 software. The second one is an enhanced SOHO EIT 30.4 nm He II image. 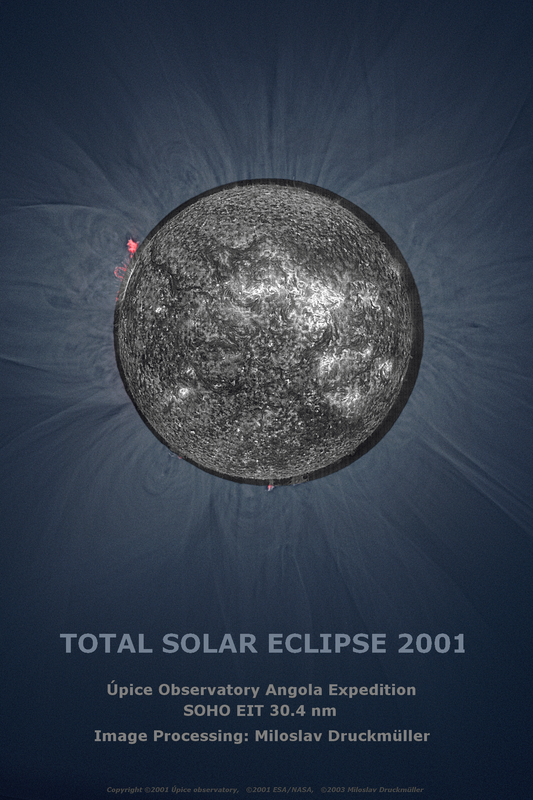 The black Moon area in the first image was cut off and replaced by corresponding part of the SOHO image. Even if there is a big difference in wavelengths of used images many structures may be followed in both images.